There is no better way to start a new year than to go on a short trip to a new city or country! I began this year with a holiday to Edinburgh with my mom. The city is just the ideal size to explore if you are only there for a couple of days. 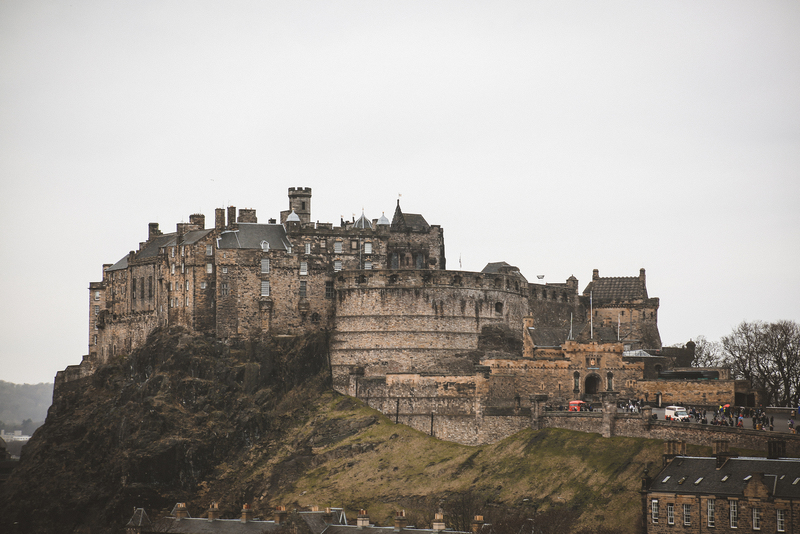 So if you are thinking of exploring this part of Scotland than here are a few places to see and the best things to do in Edinburgh! The first time I went to Edinburgh I flew there with my boyfriend, which was great as we could see the city from above when the plane was coming into land. From there we caught a bus into the city which drops you off in Princes Street. This is the main shopping street in Edinburgh. This time around I caught a train with my mom, it was around 3 hours long which took a lot longer but you arrive right in the city centre. The views are just as breathtaking. The main station in Edinburgh is Waverley Train Station which is on Princes Street. This is a great place to start exploring first! 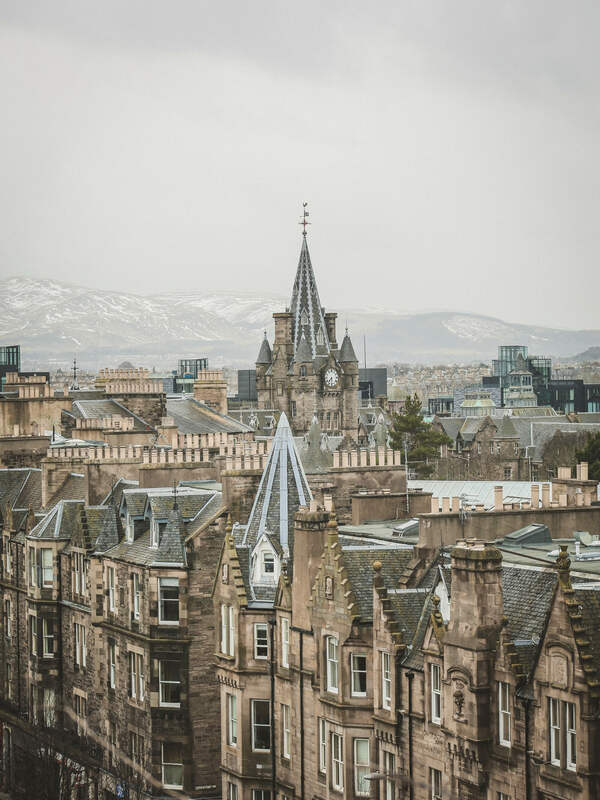 With Princes Street being the central place in Edinburgh it means you can see a lot of the popular locations in the city as it is all focused around this area. But the street itself is something quite unique. On one side you get all of your shops but on the other, you get the Gardens, overlooked by Edinburgh Castle perched on top of Castle Rock. I don’t know about you but I haven’t been to many cities with a castle that dominates the skyline whilst you shop at your local boots. Don’t forget to listen out for the bagpipe player! The gardens itself is worth a visit no matter what time of year. Spring has the blossom and tulips, whilst Summer has the luscious green leaves which eventually turn to the vibrant shades of orange and red in Autumn. During the Winter it becomes very festive with the Christmas Markets being held here. Within the Gardens there is also Ross Fountain which is a cast-iron structure that has recently been restored. It is honestly so beautiful especially when you see it lit up at night with the castle towering over it. Whilst walking along Princes Street, there is no better opportunity than to visit Scott’s Monument, the Visitor Centre by Waverly Station, (if you are in need of a map) as well as the Scottish National Gallery which is worth a visit if you have time. With free admission, the National Gallery is a great way to see modern and contemporary art pieces. You can’t go to Edinburgh without visiting the Castle! This one seems like the most obvious choice. With the Castle being a focal point of the city it is worth the gentle walk up the Royal Mile to get there. Along with your walk, you will pass plenty of souvenir shops which is the perfect time to grab some gifts for friends and family. The Royal Mile guides you perfectly to the castle if you keep walking straight (in the right direction) so no need for a map here so you can take in the scenary around you more! I haven’t been in the castle but I love the walk up and the views that you get from the entrance of the castle. If you do decide to go inside the castle then it would be best to purchase your tickets in advance as this is a cheaper option. If you have ever been inside the castle I would love to know what it’s like! Just a short walk away from the Castle is Victoria Street, which happens to be Edinburgh’s most beautiful street. It is filled with colour and small independent shops. Not to mention all of the Harry Potter shops as this street is actually the main inspiration for Diagon Alley. Around this area are some great shops and places to eat. 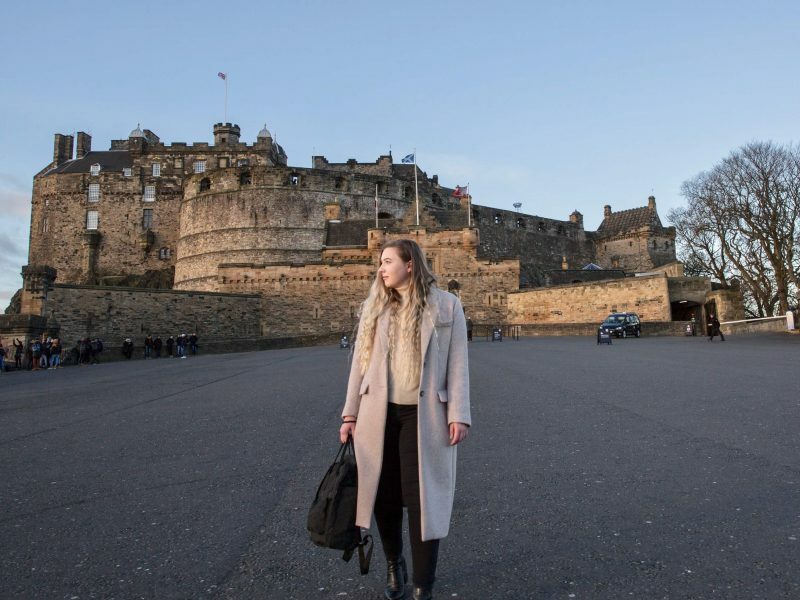 It also leads you down to Grassmarket which has a lot of great little shops and places to eat which is definitely worth exploring. Along Victoria Street itself there’s a hot pork sandwich shop called Oink which offers a hearty and tasty bap but if you don’t eat meat then just a short walk down the hill is Hula Juice Bar which offers plenty of healthy foods. At the base of Victoria Street leading down to Grassmarket is Auld Jock’s Pie Shoppe. A great spot for wholesome food! I had a full Scottish Breakfast here where I tried Haggis for the first time. I have to say I was pleasantly surprised by how nice it was and I look forward to having it again next time I’m in Edinburgh. If you fancy a sweet treat or a cool down then Mary’s Milk Bar has some of the best ice-cream. But the most amazing thing about this spot is the view you get of the castle as your munching away on your ice-cream. Grassmarket has some really awesome shops as well. My favourite is Armstrong Vintage which is the perfect place to go vintage shopping. They have so many unique and wonderful pieces. When I went I was able to pick up 3 cashmere jumpers at such a good price. They have a whole wall of Aaran jumpers and a colourful array of cashmere so there’s so many wonderful finds in there they aren’t priced too badly. 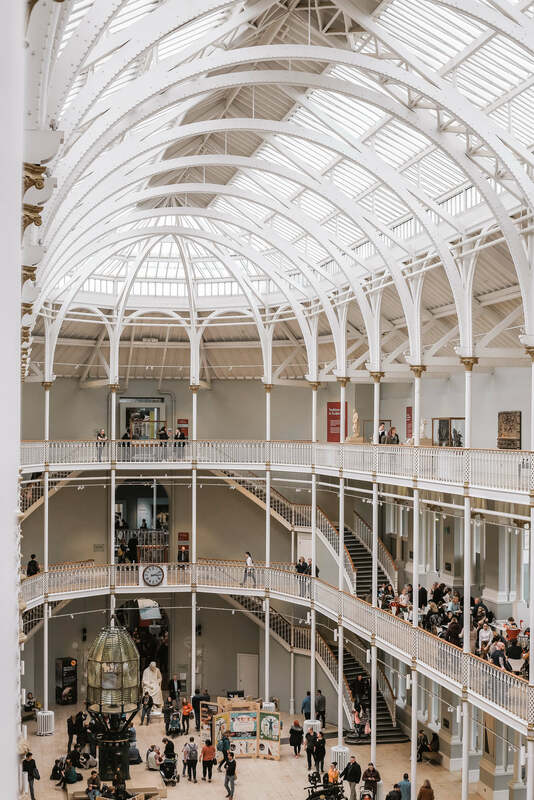 If you are in the Grassmarket area then it might be worth visiting the National Museum of Scotland on the same day as the walk isn’t too far. This is such a wonderful place to explore and spend the afternoon exploring. There is plenty of things to explore, so much so you can spend hours just wandering around looking at all of the different exhibitions without getting bored. The best part is this museum is the admission is free! The main reception hall is simply breathtaking! With it’s high rise ceiling and glass roof this room is a feature in itself. The grand scale of this room is quite a spectacle! One of the hidden beauties about this location is the rooftop view. If you catch the lift up to the very top floor you get some of the best views over Edinburgh. The first time I went there was still snow on the mountains which you can just about see in the photo below. There is also an amazing view of the castle from a different perspective so the Rooftop view is worth going up to see! This is one of my favourite places to visit in Edinburgh and it is just a short walk from Princes Street. I found my self going back to this location quite often during my first time visiting Edinburgh. Purely because the view was amazing, it also offered great photo compositions. 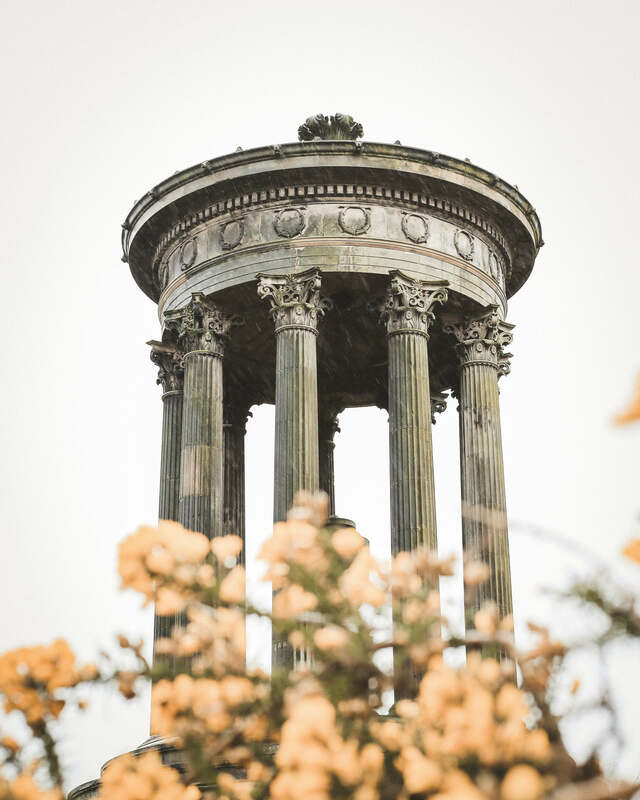 The best time to visit Calton Hill is actually during sunset as the sun sets in a way that casts a beautiful light along Princes Street which offers a perfect photo opportunity. There are a few ways to get up to Calton Hill, but I always took the shortcut which ended in me being very out of breath. So if you are not running late fora sunset photo then take the leisurely walk up to the top as you want steady hands for the photos! If you have time and a decent pair of boots or walking boots then this one is certainly worth a visit. This has to be one of the best views you can possibly get of Edinburgh. The walk is quite tough if you go all the way up to Arthur’s Seat, but the scenery is gorgeous! You can see the whole of Edinburgh from up here with views of the Castle, Scots Monument, Princes Street Gardens, Calton Hill, the sea as well as the mountains in the distance! Pack a sandwich, a drink, some warm clothes and a camera and soak in the views when you get to the top because it is totally worth the hike. The Royal Botanical Gardens has to be my favourite gardens that I have gone to so far. I have actually gone on both my visits and each time I have had a lovely time walking around. But both have been during the Winter/ Spring so I would love to go again when the sun is out and the plants are filled with colour! With free admission into the park, this is a great place to take children and the family as there is so much to explore here. With 70 acres of beautiful garden landscapes, over 100,000 plants and 10 glasshouses there is plenty to see. To go into the glasshouses standard admission is £6.30 for adults. It is worth the money if you want to have a look around and see all of the tropical plants. The heating in the different glasshouses is quite amusing when you go from room to room as cameras and glasses steam up from the change in temperature. Outside the glasshouses there is lots more to see. 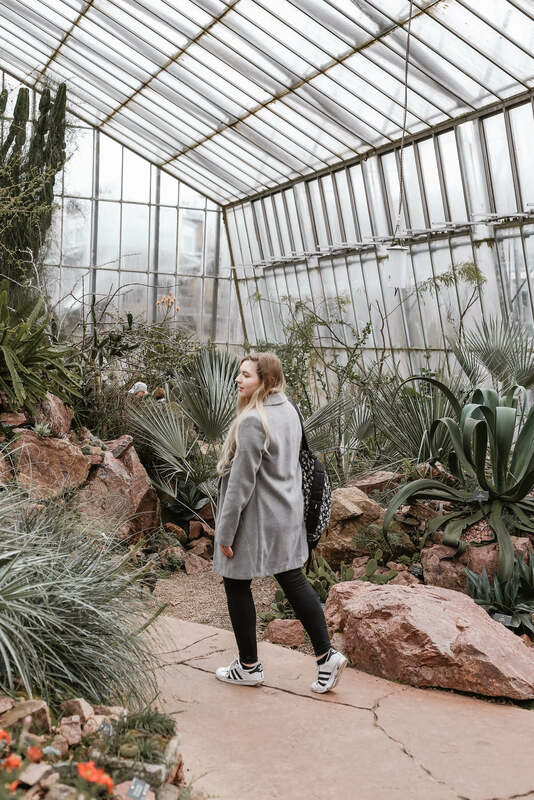 This includes the skyline view over the city, the Alpine House featuring lots colourful and delicate plants as well as the mighty 8 meter Beech Hedge which is 165 meters long! This hedge consists of over 160 trees to create this wall and it was originally planted back in 1906 and is still standing strong and proud today. It is quite impressive, especially when it takes around 2 weeks for the staff to cut this wall into shape. There are are so many more things to see in the gardens that I haven’t even mentioned but I think you will enjoy exploring this area and discovering the beauty of this place for youself. On the walk back to the city from the Botanical Gardnes it might be worth doing a detour to Dean Village. If you walk along the River of Leith and past St Bernards’s Well then it will guide you in the right direction. 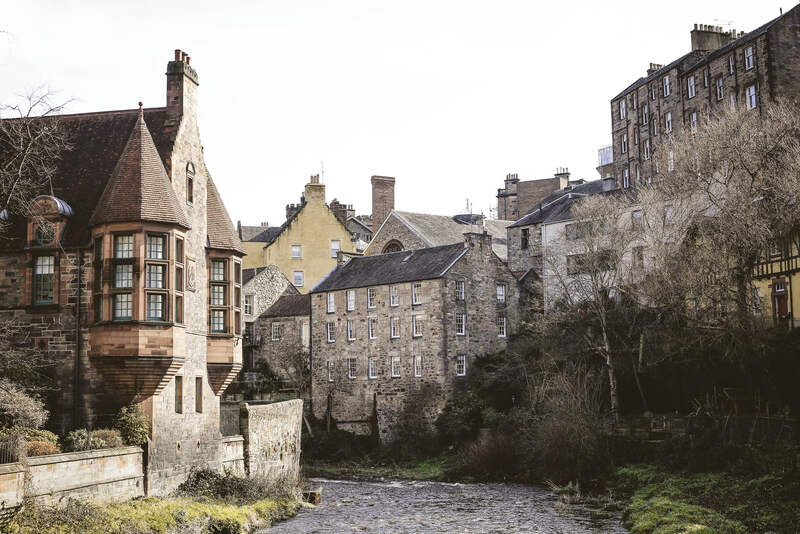 With buildings that look trapped in time and a gentle stream running through it, this picturesque part of Edinburgh is a great spot to explore. It is a small pocket of calm in a city that is otherwise very busy. 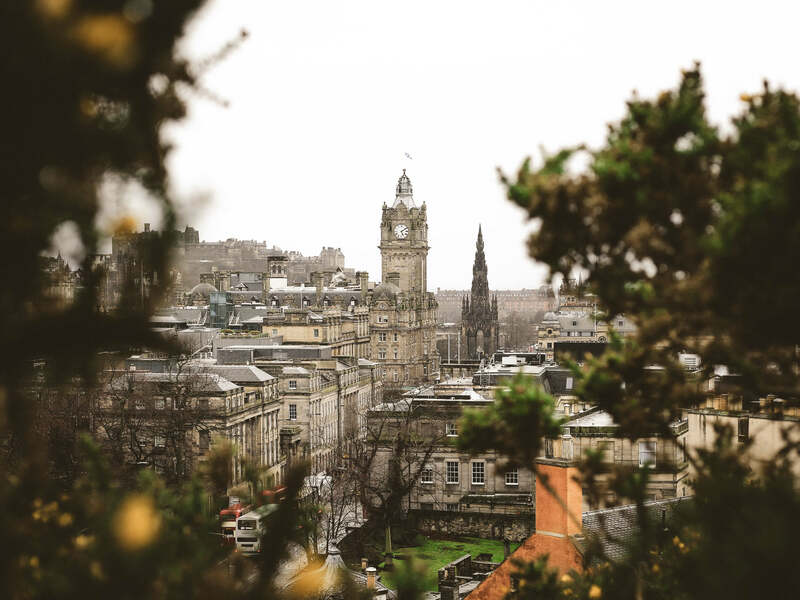 From here you are only a five-minute walk from Princes Street, where you can continue exploring other places as this concludes my list of the best things to do in Edinburgh. I hope you have found these recommendations useful when planning your trip to Edinburgh. 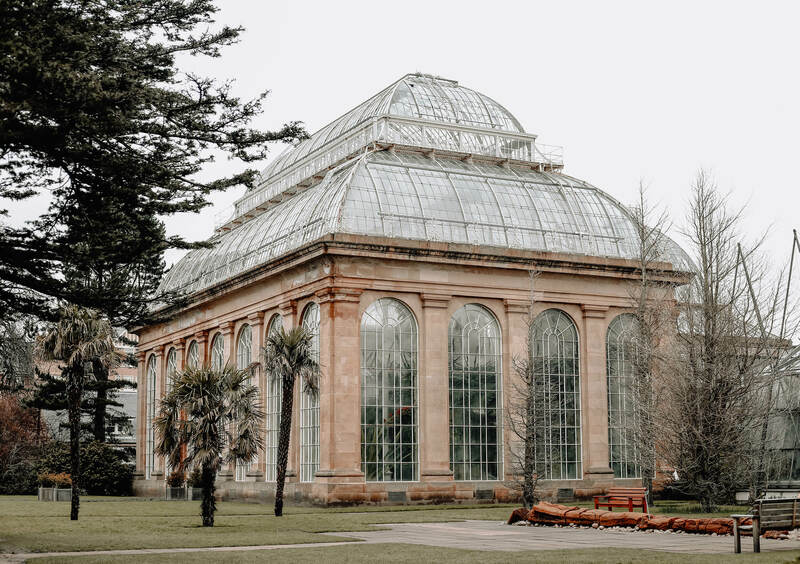 Other places which are worth a mention include Edinburgh Zoo and Portobello Beach, if you have time to visit these places then I would recommend you go but these are slightly further out of the city so you will need to catch a bus to get to them. I would love to hear some of your Edinburgh favourites in the comments below! I loved Edinburgh, especially the castle. Thanks for allowing me to reminisce about a wonderful city through your post! Your images in this post are beautiful! I love Edinburgh it’s such a great city.